The TL-2015R2-PK EliteCare+ Wireless Central Monitoring Package Nurse Station System is completely wireless and can be used with a large variety of peripheral devices, including bed and chair monitors, floor mats, door monitors, nurse call buttons, bathroom pull cords, and hallway emergency lights for a complete resident monitoring system in one wireless CMU. Up to 999 different devices can be monitored at one time using this system. This is perfect for any Nursing Home, Large Care Facility, or Assisted Living Faciility. It is a versatile system that can be used for anti-wandering, fall alerts, nurse calling, and much more. 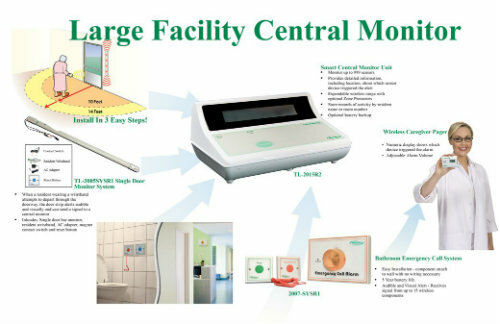 This top of the line wireless central monitoring system is a great addition to any facility that is looking to meet regulations and requirements and give the clients or residents it serves the best in quality care. Wireless- No expensive hardwiring or dangerous cords. Many components - Customize the components to the central monitor that work best for your facility. This package is Plug-and-Play out of the box. However, there are many other types of monitors as described above that you may expand and customize your system with. All the products on this page will work with the central monitor. Also please note that these components come complete with the necessary transmitters, reset buttons, etc. 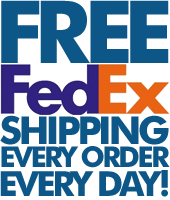 to work out-of-the-box, so if you are comparing prices with other websites please take into account that we have grouped the necessary items to make it easier to order. The link below is to the page describing the U.S. Department of Housing and Urban Developing (HUD) Memorandum detailing the Office of Multifamily Housing Programs Policy on Requirements for Emergency Call Systems in Elderly Properties.